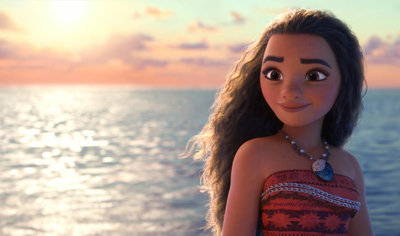 Actually, one of the questions is wrong: when Moana insists to the Ocean that she's not the one, she see her grandma's spirit after, but I got the "correct" answer was that she saw a vision of her island getting destroyed, that's wrong because that happened in back when she was sleeping. 5. Please characterize Hei Hei the chicken. 8. Before she sets off on her voyage, Moana loses someone close to her. Who? 12. "If the current is ________, you're going the right way."